My first introductory to HJI began in August 2013, when I joined for a workshop learning how to make a piece of jewellery in sterling silver. I remember being asked by Nathalie the founder of HJI what I wanted to make in my first workshop and I opened up my design sketchbook with a whole collection already down on paper. Nathalie was pleasantly surprised by the fact that I had never made any jewellery yet I had a whole collection put together...theoretically! I came from a fashion design background and without knowing this at the time, I was nearing the end of that chapter and starting a new one, as a jewellery designer, brand founder and owner. If it wasn’t for Nathalie’s kind, positive, motivational and supportive words I would have never had begun. 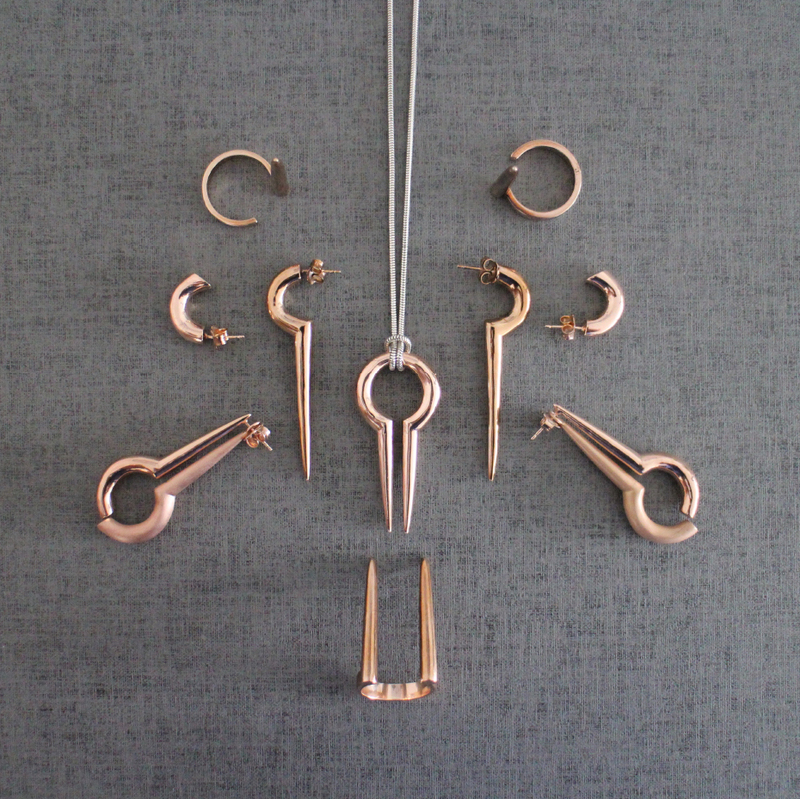 So designing a jewellery collection from just self learning was how I started. Learning the ropes of how to actually make jewellery and how to start a small business followed when I became a full time resident at HJI the following year in 2014. The love and support I received from HJI is beyond words, I look back and see it as a pillar that kept me standing for the duration I was there. The knowledge that I gained was priceless, alongside this I met some wonderful artists at Hatton. It’s a great community to be part of and I hope they continue to thrive above and beyond.